The American Leather Olson Queen Low Leg Comfort Sleeper features excellent design and unmatched comfort. Marked by slightly rounded track arms and plush seat cushions, this new Generation VIII Comfort Sleeper is built to impress. Equipped with American Leather’s patented Sleep System, the Olson’s sofa bed contains no bars or springs and will not sag. 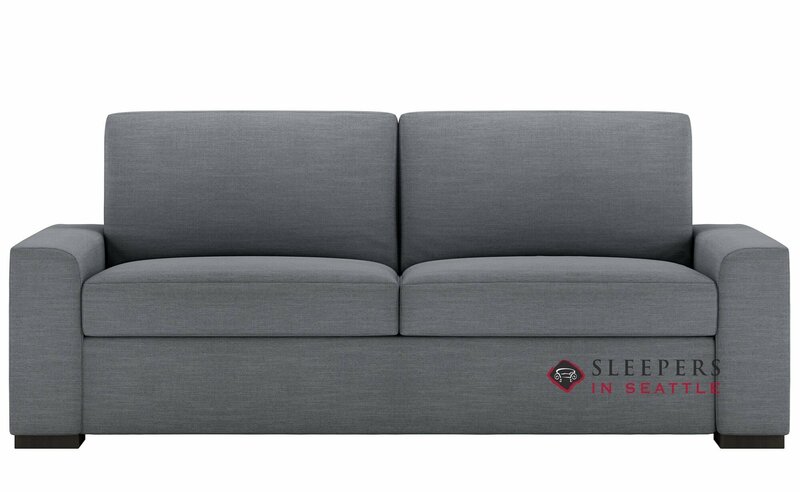 This top of the line sleeper sofa is sure to make a great addition to your home. Choose from a terrific selection of designer fabric options, and three premium mattresses.